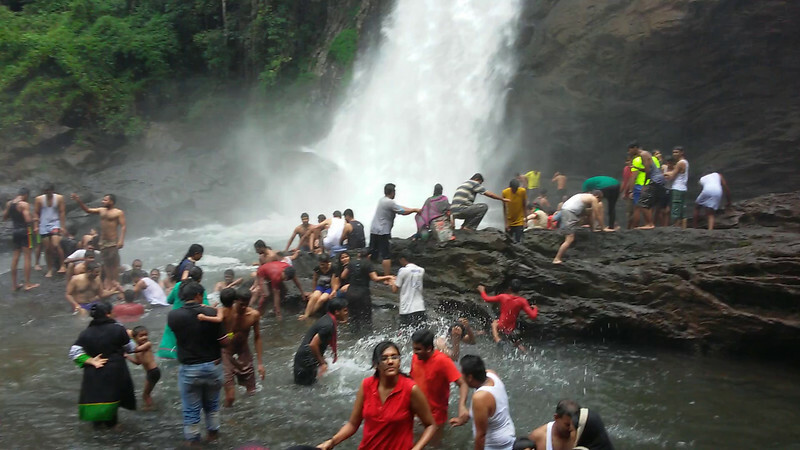 Thusharigiri Falls is a waterfall located in Kozhikode district in the Indian state of Kerala. Two streams originating from the Western Ghats meet here to form the Chalippuzha River. The river diverges into three waterfalls creating a snowy spray, which gives the name, 'Thusharagiri'. The word Thusharagiri means the snow-capped mountain.